Open Wide. 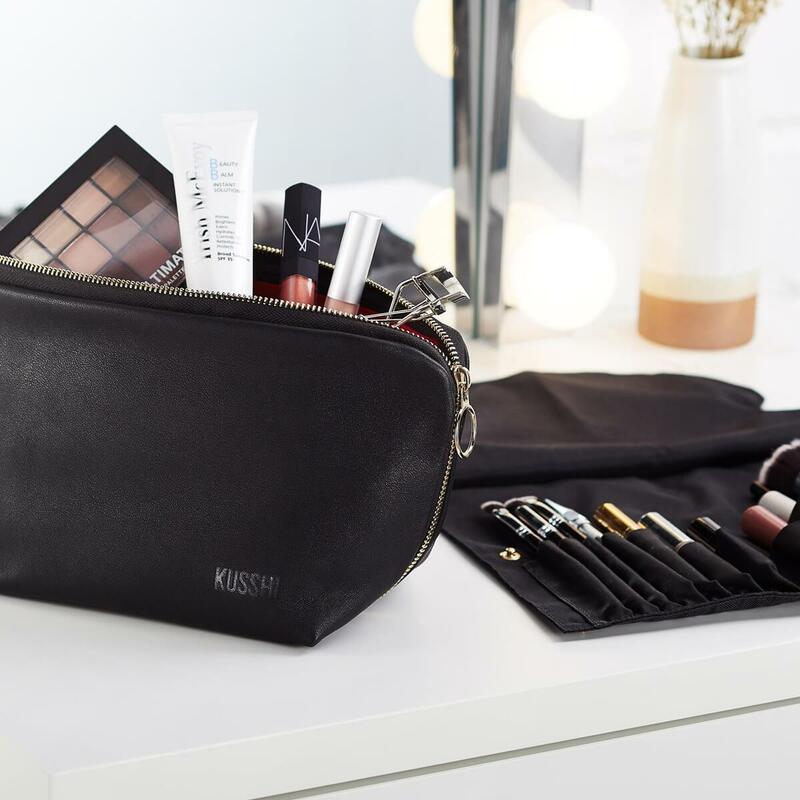 The Makeup Bag opens on all three sides - it’s like extra leg room for your beauty routine. 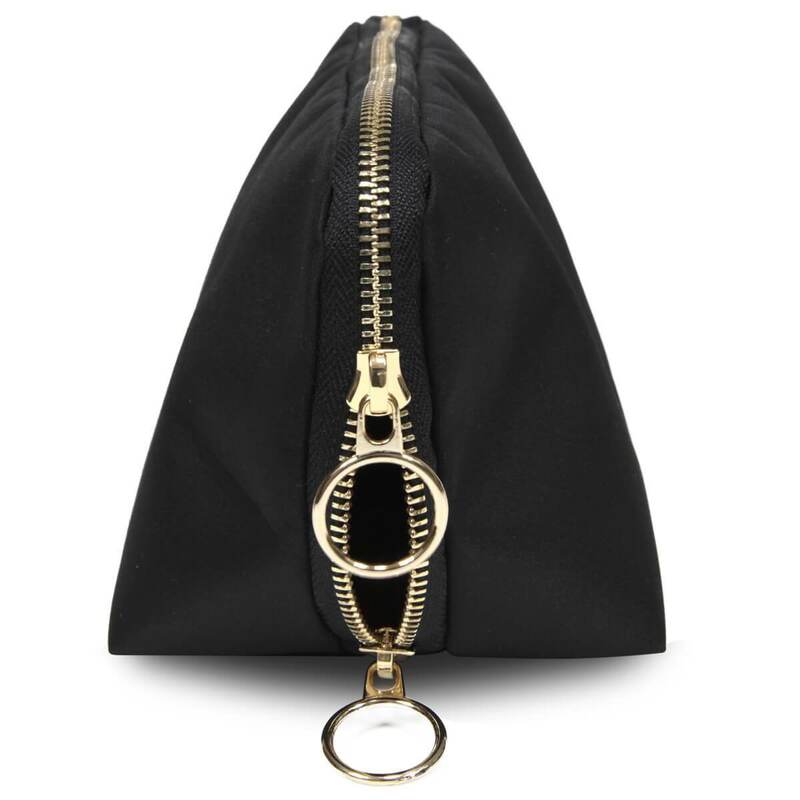 Everything has a seat of its own with pockets for an eyelash curler, beauty blender and more. 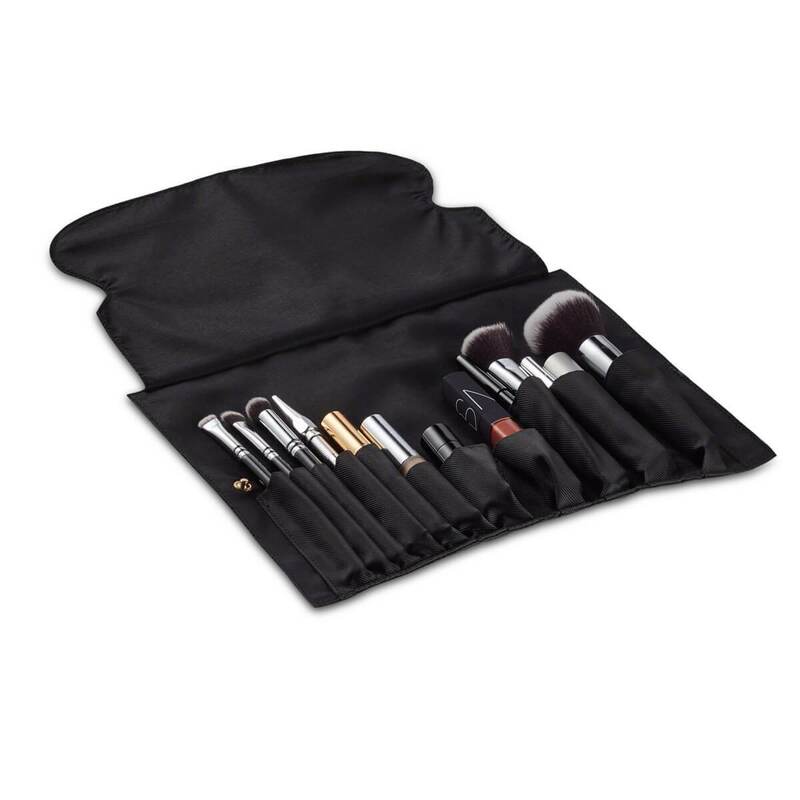 Looking for the perfect makeup bag with brush holder? 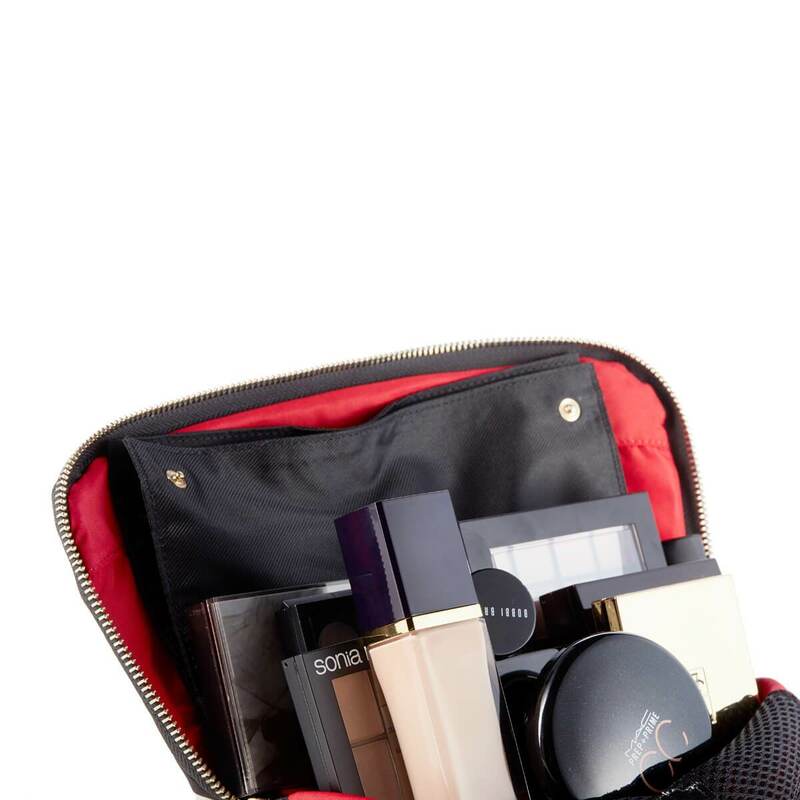 This set includes one of our Organizers for the perfect duo while on the go. Snaps right into your makeup bag. Fold, snap, zip and go! 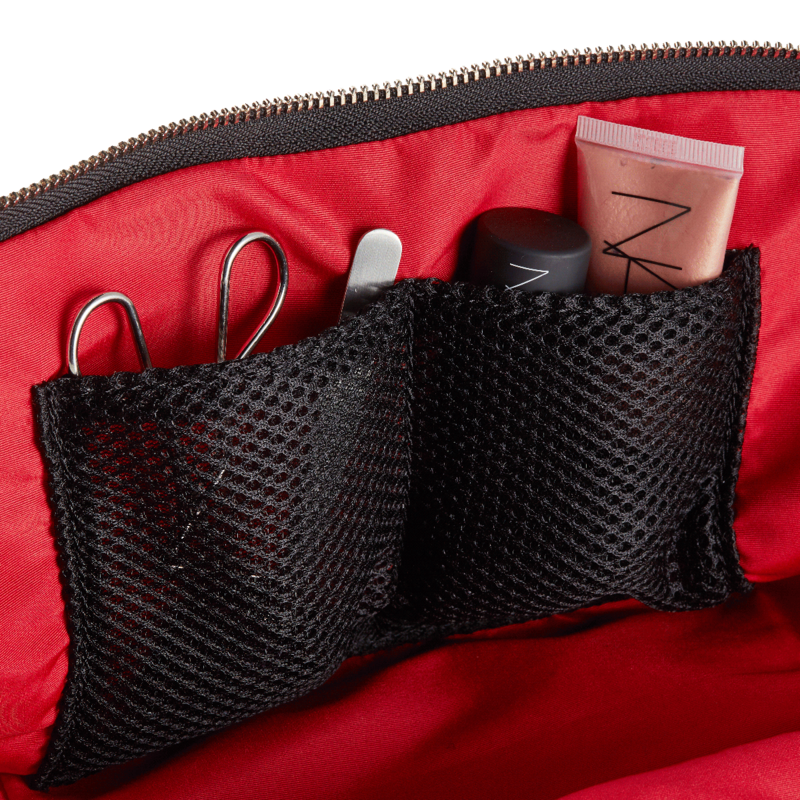 Finally a makeup bag that not only stores and protect your makeup, but has pockets made for your beauty blender, eyelash curler, and more. 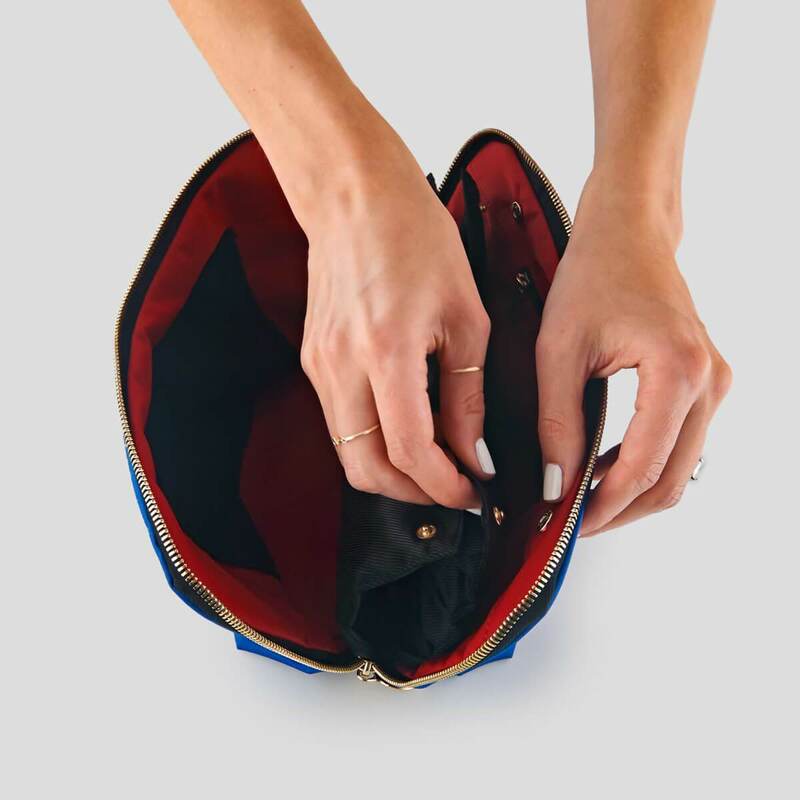 Our makeup bags open on 3 sides to easily access and see all of your makeup. No more digging! Snap in an organizer for extra organization. Fabric bags are fully machine washable. 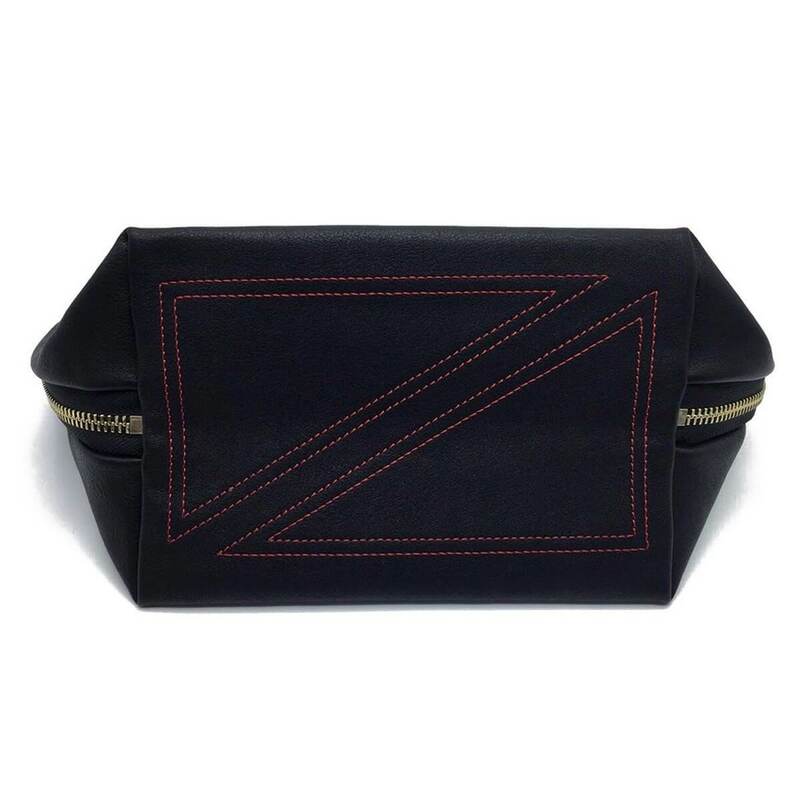 Leather bags have zip out interior liner that is machine washable.